Over the last few weeks, there has been a significant increase in attendance at swim sessions – especially as the imminent season approaches. We have seasonal members returning to the fold, new members coming on board, which, added to our consistent all-year-round athletes, has contributed to the recent surge. To accommodate these rising numbers at our Monday night swims, we have increased the number of lanes at MSAC to 3, which comfortably caters for Advanced, Low-Advanced and Intermediate swimmers, whilst also maintaining the ‘Transition’ session at St Michael’s. This totals 6 lanes over 2 pools each Monday night. It’s a great time to be back in the water! It is also a timely reminder to stay consistent with your training. We only have another 4 weeks left to take advantage of the highly-valuable strength block, before we shift focus on to the more race specific, speed block. This changeover all starts with the Pre-Season Camp at Queenscliff on the 11th of Sep.
Pre-Season Camp is selling out fast, so please get organised now and sort out a deposit ASAP by going to the TA Shop. Don’t miss out on gaining the advantage on this essential training spike. We are limiting the camp to only 30 participants, due to coaching numbers allocated to the camp, so now is the time to sign up! Remember, your ability to Train To Gain is done through smart, consistent training, communicating with the coaches and understanding your capabilities. Don’t cook yourself or try to peak too early; stay under the prescribed line and always Train With Purpose. It is well overdue, with many bodies being buried neck-deep in training, that we think it’s time to let your hair down with a few (or many) social drinks this Sunday. ALL THOSE RECEIVING THIS EMAIL ARE WELCOME (AND ENCOURAGED) TO COME ALONG! If you are thinking of joining Team TA this is a great way to meet others socially. With Sandy Point Half on this weekend, we encourage you to show your support for those athletes competing. We have a number of Team TA athletes getting out there and competing this weekend, so if you are down that way make sure you shout out. If you can’t make it to the run, be sure to come along to Veludo’s later in the day to catch up with everyone. Well done to those who ran in Race #3 of the Salomon Trail Running Series at Olinda last Sunday. Although it was expected to be muddy and wet, the athletes fared pretty well. Coach Scotty placed 5th overall in the sprint distance, which is an amazing effort considering he was up against many seasoned trail runners. Plenty of well wishes on his Facebook page and a well-deserved overseas holiday now for all his efforts! 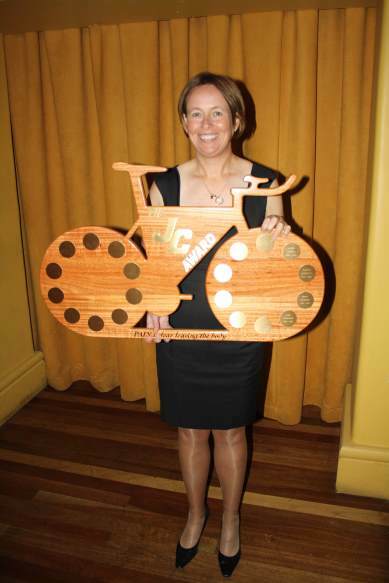 And not to be outdone, Al O’Toole raced in the Northern Combine Road Cycling Event in Kyneton on the weekend to place 3rd in her division. We know Al has been working hard on her cycling over the recent months and this begins to add a bit of a reward for all the hard work that she has accumulated. Two podium finishes this season – look out! PAUL dE MAN EMBARKS ON 1600KM SMIDDY RIDE. On the 28th of August (Friday week) I will be joining 49 other Riders rolling out from Brisbane for the annual Smiddy’s Challenge Ride from Brisbane to Townsville, a 1600km journey involving 8-days of riding. 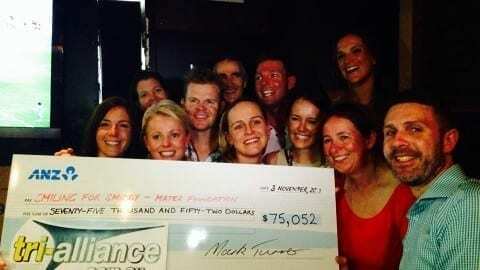 The ride is based around raising funds for the Smiddy’s Foundation into Cancer Research. 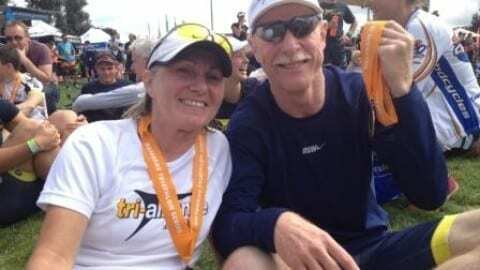 The Foundation was created after the sudden death of Adam Smiddy, a student and fellow triathlete of Mark ‘Sharky” Smoothy from melanoma cancer 10-years ago. I’ve been fortunate enough to be given a spot in this year’s ride. While all the riders, including myself will be representing the Smiddy’s team on the ride to Townsville, in my mind I’m also participating in this ride as a Representative of the Tri-alliance Team here in Melbourne. This challenge will help me prepare for my big plans of 4-Ironman events next year and this ride will also be a great chance to get some solid miles into my legs. 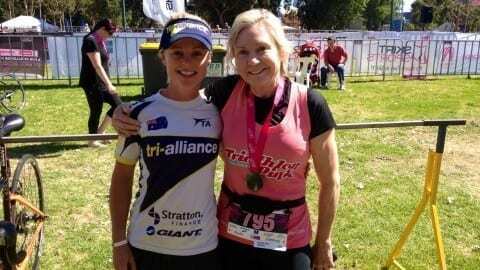 I am seeking support from the Tri-Alliance team in Melbourne in terms of sponsorship for this journey. If you would like to get behind me and this cause, you can participate by way of making a small and modest donation through the Smiddy’s website (explained below). As the ride takes place I’d like to send posts back posts to the Tri-Alliance group, keeping you all informed on the progress of my ride. Click on the “donate” tab and go to “donate to a participant” and you’ll find my name in the “Smiddy Challenge” section. Don’t forget to update your T Zones to have a more effective training session. Tri Alliance HR Zones – Wind Trainer Test. 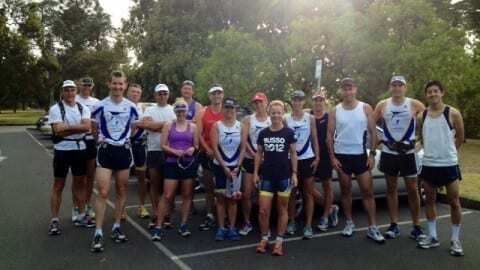 3.PRE-SEASON TRAINING CAMP – URGENT ACTION REQUIRED – QUEENSCLIFF SELLING OUT FAST! The pre-season camp at YMCA Queenscliff from Friday 11th September to Sunday 13th September is CLOSING FAST – BOOK HERE NOW. $349 for the entire weekend which includes accommodation, training, breakfast and lunch. Early birds spots have now closed. This camp is perfect for all levels of athletes with flat and challenging options available leading into race season. * focusing on nothing but training, eating and sleeping for 3 days! ETA OF THE NEW CYCLING KIT – End of this month. Our new cycling gear is available for pre-orders. Be ready for the new season in some stylish new kit – so order now to guarantee your gear. For those who attended the Lorne camp we have contacted you with a coupon code for your order – sizes are the same as the existing Elite gear so get onto the shop and place your order. Pair of DMC Fins for sale Size 10-11 Large used twice. $50 or best offer. What is the purpose of our training camps? What are the benefits of camps and why do we do so many? It’s not because we love getting away on weekends (added bonus!). The answer however is pretty simple; camps produce training spikes that increases your fitness in a very short period of time. It is important to note, that they are not effective if you do not take the time to recover off the back of them correctly. We deliberately place our camps about every 2 cycles or 6 weeks apart, so we can create an effective fitness spike in your training. The benefit of doing this increased training load on a camp, is that we take out all the worry associated with your normal lives and you are able to train like athletes. All you need to be concerned about is training and recovery. No need to spend time preparing food or planning the session, it’s all about getting the quality of load. Our camps are purposefully designed to achieve this, giving relative load specific to an athlete’s ability. The secondary benefit is in often being able to push an individual beyond their training expectation, which increases confidence in fitness and ability. Much of the feedback we receive is that of surprise and a massive sense of achievement. We have already had our first 2 camps of this season which has been illustrated in the graph above. It displays the benefits (spikes) one of our athletes received. If you look at the image titled “camp spikes” you will see the clear fitness gain for these 2 camps. The blue line is your fitness: you want to see this one making a steady climb upwards, which comes with consistent training. If it slides, it signals a red flag (like an illness, injury or a decision to back-off your training). Ideally, what we want to see are some nice step-ups over a 2-week period, a lighter flat week and then a repeat of this cycle. The pink line is your fatigue: Fatigue generally sits high on the chart when you are training under load. We like to see it above the blue line and spike when we are under a heavy load (e.g. camp). We can’t keep fatigue levels up there for a long time though, and it is important they come down to meet the blue line before we race. Finally, the yellow line is your form: We monitor this to see how your body is holding up. When we come close to a race, we need to bring this level up to a positive or a neutral space so as to be able to race at optimal performance. It is ok for form to be negative whilst under training load. As your fitness line increases, your form will also improve. Now that you understand the meaning of the graph, you will hopefully be able to relate and see how important the camps are to increasing your potential for yearly performance by up to 15-20% over a training year. That means, do not do more than what is required from the program. Train consistently and with good recovery techniques. One last thing to remember: camps place you under a heavy load; so you need to ensure that your recovery from any spike in training is more important than the load itself. If you keep pushing yourself post camp, you will experience an equal or greater decline from the load. This is generally the case of the individual who has a ‘more is better’ attitude or the high-achiever who keeps pushing through no matter what. Listen to your body; listen to your coach and always train with purpose. Saturday 22nd August – Advanced ride – Dandenongs leaving North Point Cafe @6:30am with Coach Jed. See Facebook event for details. Saturday 22nd August – Intermediate ride – Time to Step It Up! Dandenongs leaving North Point Cafe @6:30am with Coach Ollie. See Facebook event for details.